I was trained and certified by LEGO as a facilitator of LEGO® SERIOUS PLAYTM methodology before LEGO introduced its Open Source policy and stopped training facilitators under their auspices. 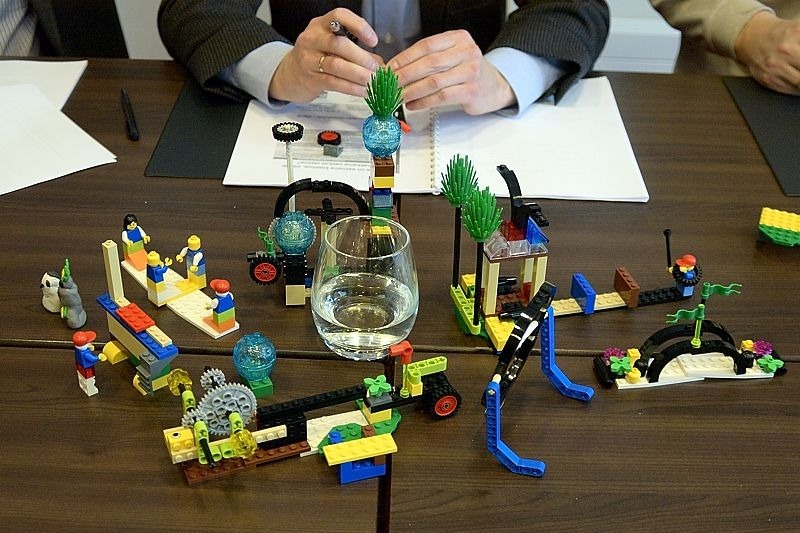 I have used the Lego Serious Play methodology in facilitating strategy development, complex problem solving and team building. In addition I am a member of the International Association of Facilitators who gathers facilitators from around the world. You might require the support of a facilitator in different situations. Sometimes it is useful to rely on an internal facilitator who knows better people and context. At other times you need a neutral person – a third party to take the full responsibility of managing the process. A skilled facilitator can help you handle group processes in such a manner that it brings out the best potential of your people and silences those habits that have been stopping you from progressing. In 2010 I established SeriousPlayPro.COM as an international network of professional and certified facilitators in Lego Serious Play methodology with everybody interested in creative strategizing and problem solving tools.